DoubleClick Rich Media is hiring Creative Account Executives! We're looking for a US based Creative AE in Los Angeles or San Francisco, and also another in Chicago. Here's the details. If interested, shoot an e-mail to ryan[at]bannerblog.com.au. The Creative Account Executive takes responsibility for managing overall relationships with interactive Creative Agencies involved in the creation of rich media display campaigns. You are responsible for overall creative strategy, sales contribution, retention, growth and value in existing accounts and will work closely with Account Executives on identifying new business opportunities and work together to create stronger relationships within the creative community. Acting as a creative and technical consultant, this position requires you to have an understanding of the unique needs of each creative partner and client and the ability to tailor rich media solutions to meet those needs. By understanding the numerous features and formats of rich media creative, in addition to an overall understanding of the creative development process and the Doubleclick products that address each step of the process. You will also be responsible for educating clients on DoubleClick solutions, processes, and cultivating relationships at all levels of the customer's organization. * Build strong relationships with creative shops and in the interactive creative community. * Partner closely with internal teams and provide strategy and solutions to drive new business and retain existing business. * BA/BS degree preferred with a strong academic record. * Demonstrated success at working with cross-functional teams and building strong relationships across departments. * Ability to analyze and optimize data. * Possesses in-depth knowledge of creative shop needs from a rich media standpoint. A pretty good effort from M.C. Dave Berzack!!! Check out his portfolio at http://www.daveberzack.com. With 90,000+ views it's sure to help him get a job. Reminded me of the SEO Rapper who is now rapping about Christ these days. This is pretty nice. 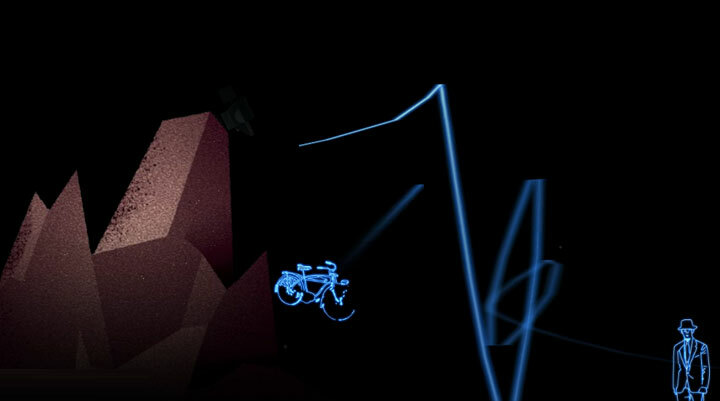 An interactive music video for Broken Bells by Sony Music.